We provide solutions for any indoor air needs, including central air full system replacements, add-on air conditioning, full duct systems, and ductless split systems. 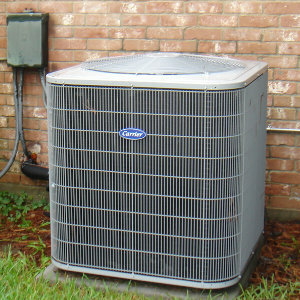 People with older homes may have an out-of-date central air system or none at all. There are many choices for homeowners that will provide them with easy, breezy airflow. Whether your home would benefit from a ductless split system or traditional ducts and tubing, Kel-Aire can provide you with the most cost-effective central air options. Ductless split air conditioners have two components—a small indoor unit (though there can be several of these per home) and a larger compressor unit that sits outdoors. Small holes are made to connect these two units through refrigerant lines. When turned on, the outdoor compressor uses refrigerants to create cool air, which is pumped into the indoor unit. The indoor unit’s fan spreads the cool air while the unit itself pumps hot air outside. Ductless split systems are efficient and cost-effective in the long run, though they are initially more expensive than window units. We work with a wide variety of ducts including, but not limited to, flexible ducts, sheet metal ducts, fiberboard ducts and fiberglass-lined ducts. Each type of duct has its own purpose that may be beneficial to your home or business. For example, flexible ducts, which are made of wires covered with bendable plastic and insulation, are ideal for homes or businesses that have small, tricky spaces. If you have any questions about your central air needs or would like a consultation at your home or business, please do not hesitate to contact us.